Hiroshi was more then a bit irked by this. "...And it didn't occur to you just point me where I could go back to my time? I wasn't going to stay in a place where I was displacing someone in the first place." Jason shakes his head "No. There is no portal, no vortex, or gateway that can take you back to your own time. You need to wake up!" he says in a low tone, his wings pulled back, in a threatening position. Suki comes running over "Hey! What's going on, Roshi? I saw Jason drop you, are you okay?" she asks, keeping her distance from both Hiroshi (because of his darkness shroud) and Jason, because she knew what glowing red eyes meant. One of the snakes looks over to Suki "Send her away..!" the Obliterator hisses "She is... a distraction... and get to... the shadows..!" he snarls, sections of the glowing, multi faceted eyes on the sakes were slowly fading, indicating the Obliterator was quickly losing strength. "No. and stay back!" Why the hell could he not catch a break? More to the point he knew a bit what Z-fighters were capable of thanks to Torin. They could move at light speed battle wise, or at lest high end hyper sonic. Why he hadn't been knocked out already or whatever didn't make any sense, espeically a base Farian with some leg issues. Speaking, he kinda had use what was availbale to move since again his legs weren't in the best shape so he couldn't get far if he had wanted to. As if sensing his thoughts, the darkness shroud starts to move around Hiroshi, enveloping him, then it takes his shape and hardens, becoming Darkness Armor! "Use... my strength... as your own..." the Obliterator hisses, still in pain "While it lasts..."
Hiroshi had no idea what it was, but he took it and moved a bit further back into the shadows. The other part of his brain was screaming there was some glaring holes in this whole thing that wasn't making Any sense which made him think not everything is what it seemed. That's nice and all, but we're boned in a serious fight. Could give me a crash course to travel shadows if you can do that? "You... Are... the shadows now..." the Obliterator hisses, the pain subsiding once they got into the darkness and Hiroshi could feel he Darkness, and by extension himself, getting stronger, much stronger "See... picture... imagine... where you wish... to go... then... step into... the darkness..." he hisses "What you... could do... with fire... you can now... do with darkness... but Stronger... so long... as I am here..." the Obliterator states. Hiroshi didn't know where to go and it was a long shot but maybe picturing himself back somewhere in his original time would work? Like his room? It may just send him back to his home here, but it was worth a shot so he gave it a try. As they travel through the darkness, Hiroshi ends up back on his bed,in what he was wearing the night before. Like nothing had happened. Like it was nothing more than a bad dream. It was getting dark out. It would seem that Hiroshi was back in his own time, for better or worse. It was bitter sweet being back, he had done the right thing without displacing anyone or anything. His natural instinc that something was off about the whole way Jason was acting had been correct. He needed to see what time it was, was it the same day he had left? Because Abraxus and his intended to meet them, and regardless of anything else he was going to give the Hunter thing a shot. 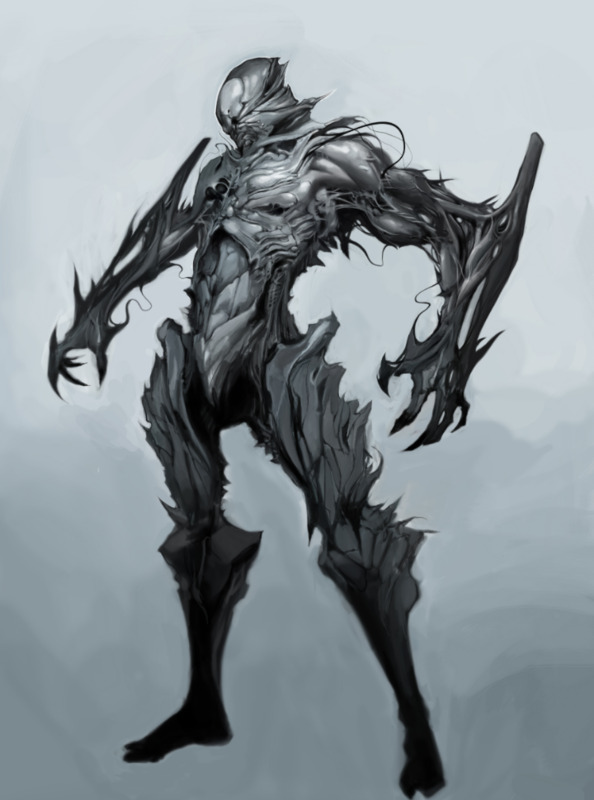 It was long since past the time he was suppose to meet with Abraxus and a quick search of the surrounding area didn't yield any sign of either him or the other Hunters that he was coming with. However, in his mail box, was a note from the Hunter "Been trying to get your attention for almost fifteen minuets. Pinged your cell, must have just missed you, because you weren't here. When you want to try again, give me a call. The sooner we get that thing out, the better it'll be for you. Abraxus..." the letter just Ends like that, but tere was a PS on the bottom of the page "PS: Got a new phone, the number's on the back of the note." Hiroshi wondered what excuse he could use, since 'hey I somehow went to another time line' wouldn't pan out so well. But Abraxus apparently getting a new phone helped in that goal a bit. Regardless he went to check the new number on the phone, after that he'd give a call to Abraxus to set another meeting up. Abraxus wanted to meet Right now and set up a meeting point and time. Hiroshi had ten minuets to get to where them meeting was. But it was close by, so that was good. He also reminded Hiroshi to Keep ahold of Mad's gun until he got to them and they could get the Obliterator out of Hiroshi's mind. The Obliterator was silent for a bit "Yes..." he hisses in a low tone "I was... once... from what you call... ancient Egypt..." he growls "My name... was Ra-Mei-Ni-Ouro..." he growls again "I was... a slave... who wanted... Better... and made.... a terrible... mistake..." he snarls. I see. What you said makes more sense now. I'm guessing your encounter was more direct then Mad who needs that bag.. He wondered if that was away to turn Quro back to normal, but that seemed a bit out of his paygrade of figuring out but it was something else to consider. "Not quite... I've been suffering... this cures... for Much longer... which is why... I am... stronger... than Rademaker..." the Obliterator hisses "Also... as horrible... as this cure is... I will Not... part with it..." he growls. 'All right. If you don't want too I'll leave it be.' One thing he had noticed oddly was his legs weren't bothering him too much as normal despite that fall from the other time line, he wasn't sure what gave but he wasn't complaining. As Hiroshi was doing his thing, Abraxus was right where he said h was going to be, as well as Mad and Shadow. Abraxus looks over to Hiroshi "At last. I was almost beginning to think you had second thoughts." he says "Come on. Let's head to the firehouse and we'll get that thing taken out of your mind." he says. "Some things came up." Hiroshi said somewhat distantly, not that anyone would believe what happened. He wasn't sure if he really believed it still. "Is Mad the one in charge for this?" Abraxus shakes his head "No. Mad and Shadow are here incase that thing decides to take control. After all, Mad says it takes Two guns to completely control those things." he explains "We have a whole team dedicated to removing, unwanted guests, from people." he points out as he starts out. Hiroshi supposed that made sense, he really didn't have much to say as he had things on his mind so he followed after them. "So... you simply... give me over... to Them..?" the Obliterator hisses "Did I not... keep my end... of our bargain..?" he asks with a growl "With the two... of us... working Together... we can be... an Unstoppable force..." he points out. Mad slows and eyes Hiroshi, his eyes burning into the Farian's soul, as if able to hear what the Obliterator was saying "It will... tell lies..." he growls "Don't... listen to it..." he snarls. "I ask you... Hiroshi... when have... I Ever... lied to you... since we've been... together..?" the Obliterator asks with a growl once more. Then he addressed Mad. "Can you tell if they're lying?" Mad's eyes were like beacons "I can... Always tell... when someone lies..." he growls. Abraxus looks lazily over his shoulder "Learning to tell if someone's lying is a basic skill you'll learn when you're a Hunter." he says. "I... did not... kill Nixa..." the Obliterator growls "The Oni... needed her... Alive..." he points out with a snarl "She died... due to injuries... sustained... in the fight... with her sister..." he growls "The fatal wound... broke the Oni's spell... on the sister..."
That actually irked Hiroshi. 'Don't lie to me! I know what saw you were involved!' He 'said' or thought a bit outaged. "Noted, I guess." Hiroshi said to what Mad and Abraxus said, that was probably more true for Mad who seemed to know certain things. Not as much as Jason but more so then the normal person; at least with certain subjects.